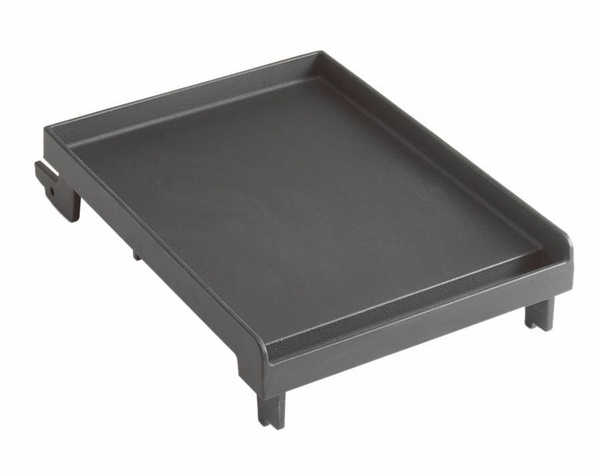 This heavy-duty cast iron griddle by Fire Magic is designed to fit double side burners. You can use this griddle to make breakfast-think eggs, hash browns, sausage, bacon, pancakes, or French toast-and have a picnic breakfast outside. The griddle can also be used to prepare fajitas, quesadillas, or just about anything else you can think of. It will fit all Echelon, Magnum, Elite, Monarch, Regal 2, Custom2 and Legacy Deluxe grills as well as models A790, A660, A530. WARNING: Cancer and Reproductive Harm. For more information go to www.P65Warnings.ca.gov.